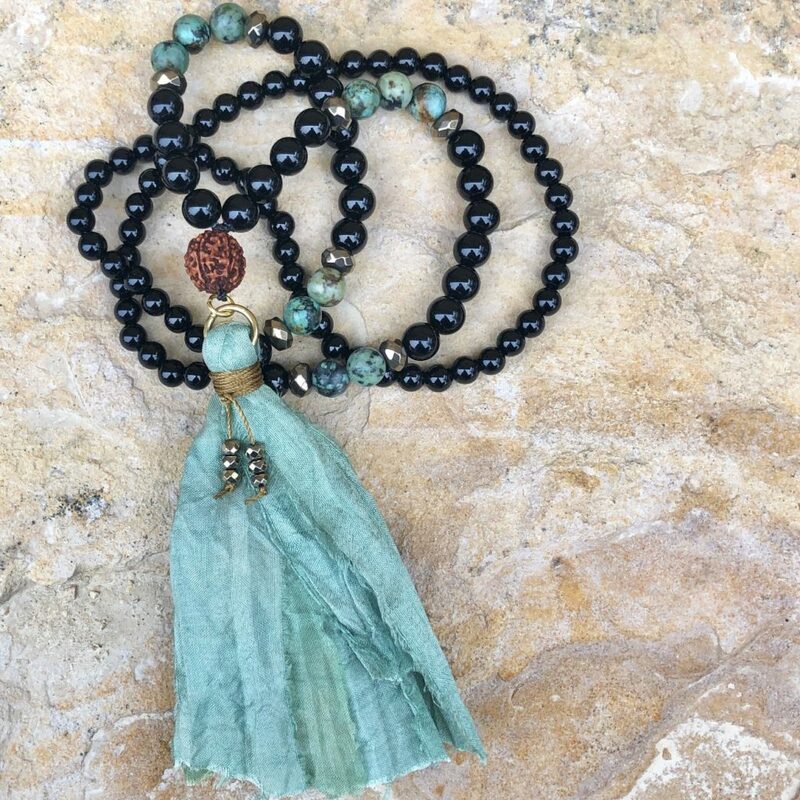 108-bead mala; 6mm & 8mm Bronzite, Druk Glass and Pyrite beads with Rudraksha seed and hand-made recycled silk sari tassel. 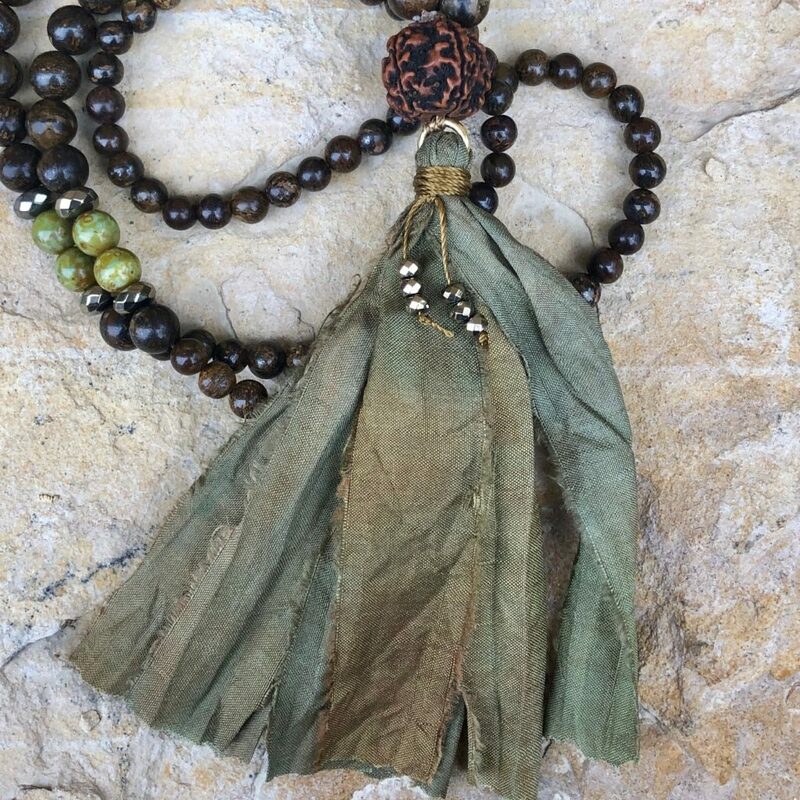 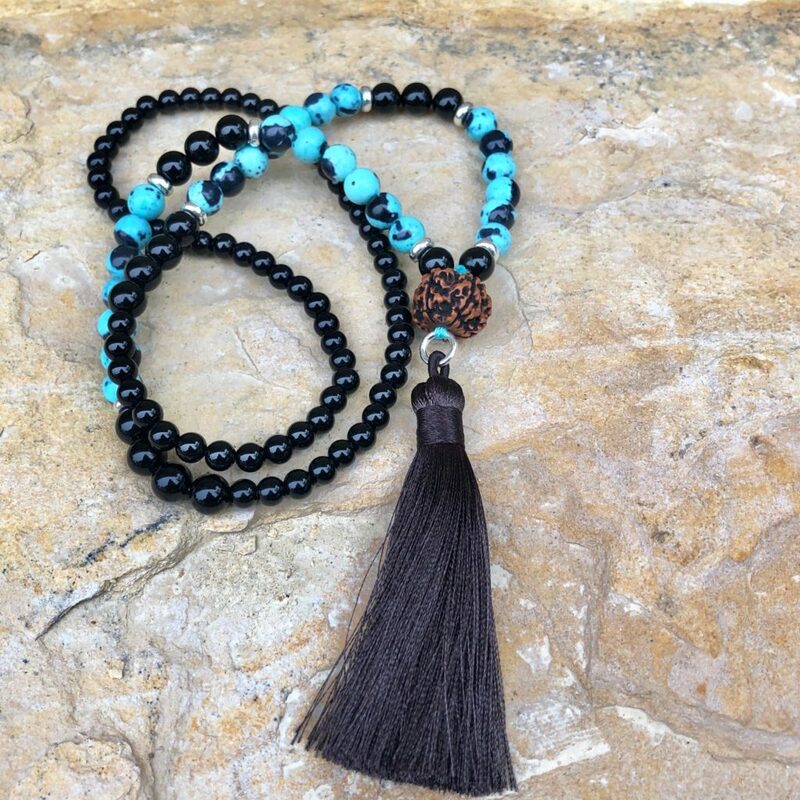 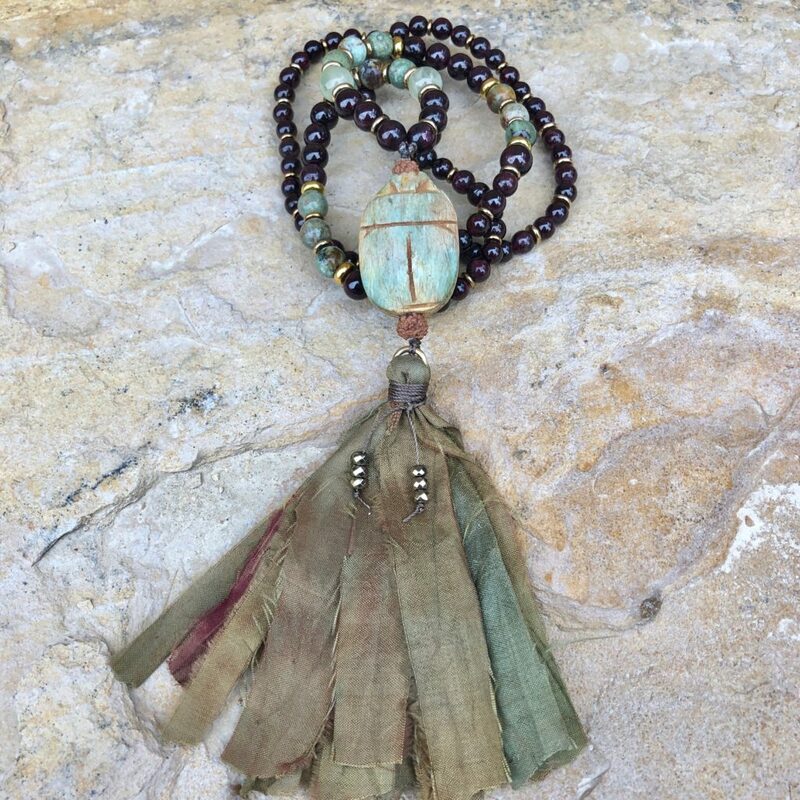 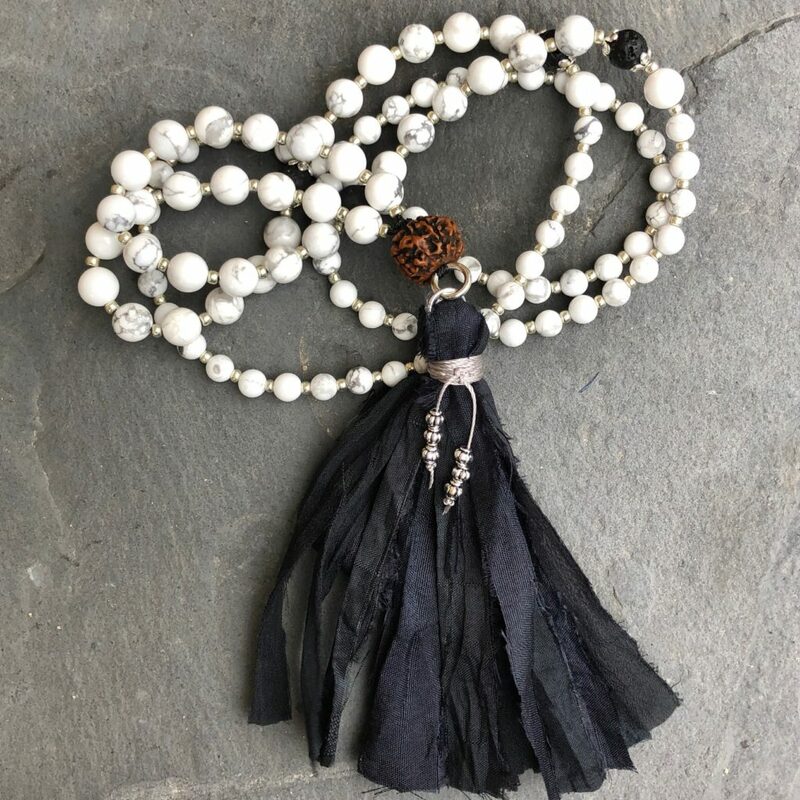 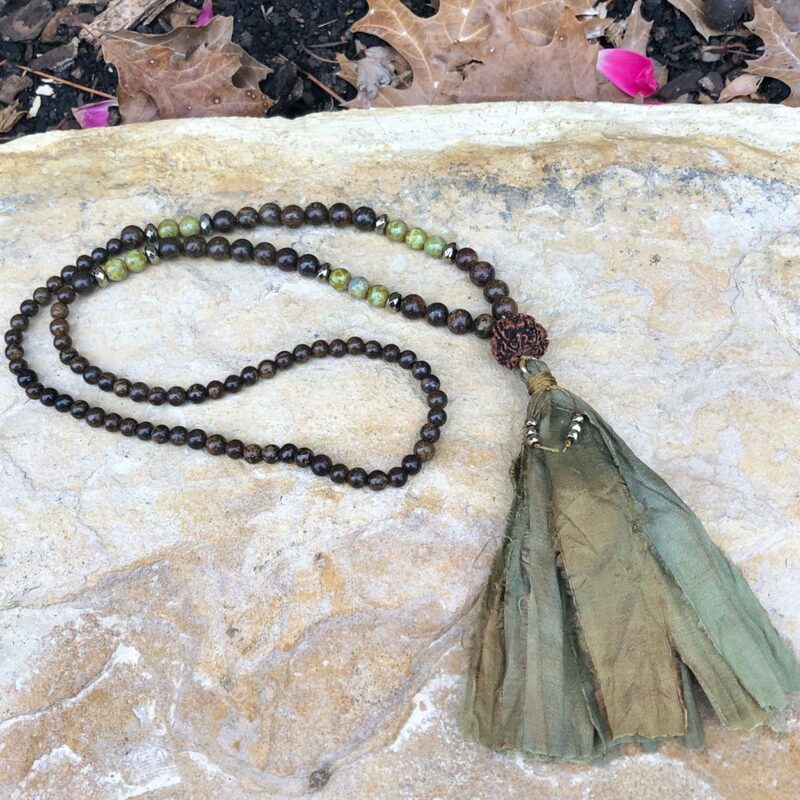 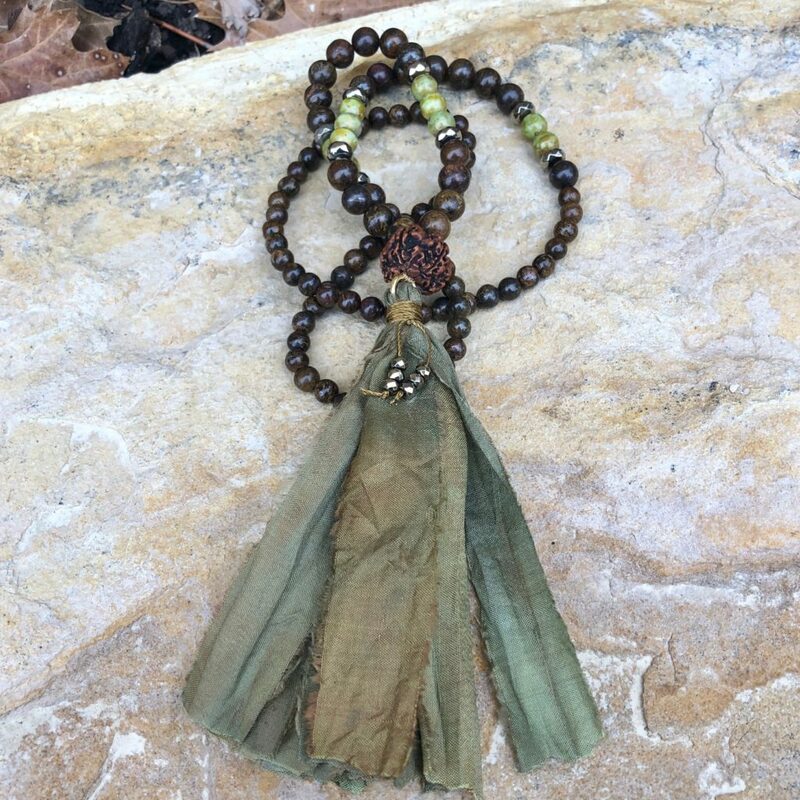 This mala is strung on a strong nylon cord and hangs approximately 19 inches in length. 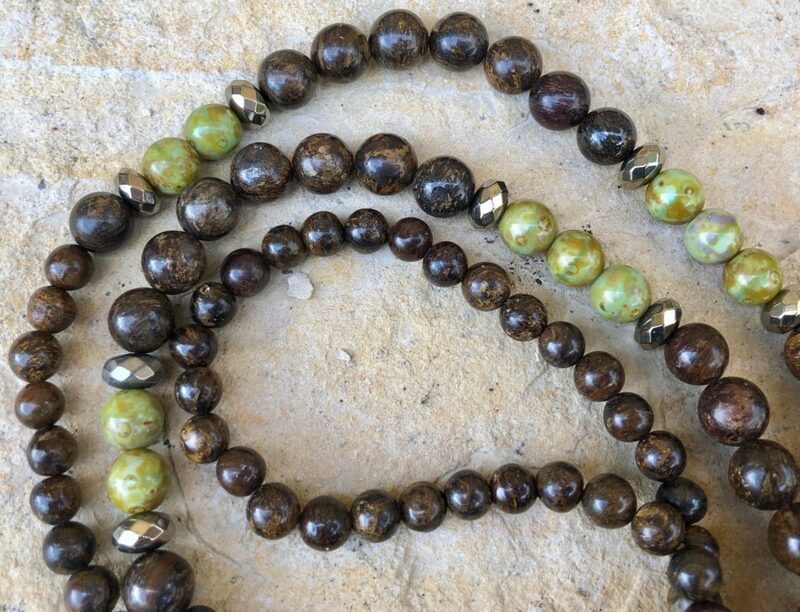 Druk Glass: Glass is formed from silica, a quartz crystal; it carries the energy of transformation and reflection.